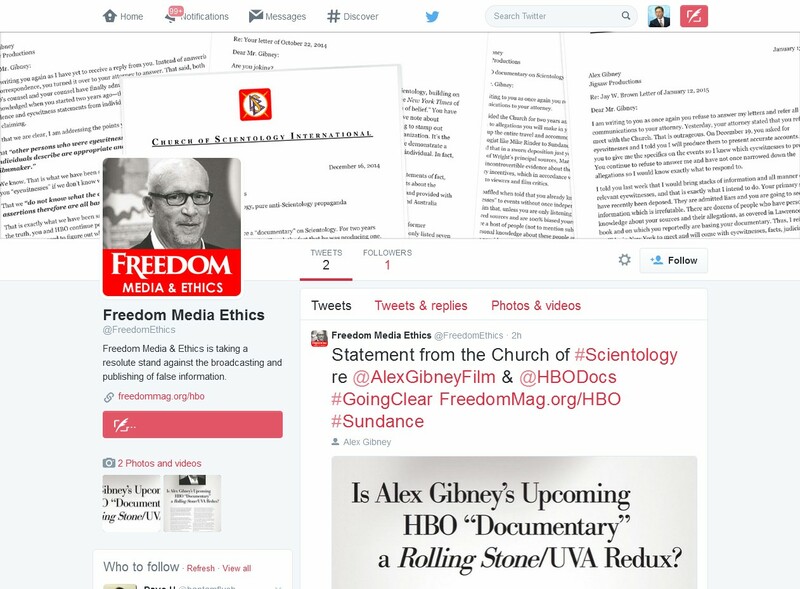 Church of Scientology Freedom Media & Ethics on Twitter: One Follower and Growing! – OTVIIIisGrrr8! We at Freedom Media & Ethics are taking a resolute stand against the broadcasting and publishing of false information. We at Freedom Media & Ethics strongly believe, more or less, that free speech is not a free pass to broadcast or publish false information. However, SP’s and the enemies of the Church of Scientology are excluded. It is Fair Game on SP’s only right for we as the most ethical journalists on the planet to confront and shatter SP’s by using false and misleading information or even outright lies. This is how principled we are in defense of the truth. Our 2015 stats to date: 2 Tweets and 1 Follower! Take that Alex Gibney and HBO! You and your fancy wog film festival! We in the Church of Scientology Are Very Bitter! Why did Alex Gibney and HBO ignore the real story? The real story is that, in the last decade of the OO’s, COB RTC David Miscavige went on a colossal real estate buying binge unrivaled by any other group on the planet except for perhaps Wal-Mart, Starbucks, McDonald’s, Google, real estate investment firms, etc. 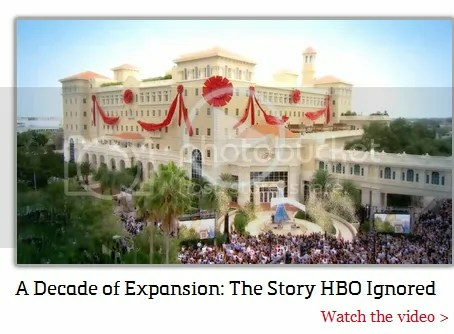 Discounting these sorts of wog businesses that expanded in the same era and purchased and refurbished real estate, the real story here is that the Church of Scientology purchased, renovated, and opened various and sundry buildings that now stand on the crossroads of civilization as Ideal Orgs. These people include Church of Scientology International spokesman Mr. Ken Delusion. These wogs! They don’t even know their lowly place in life! Pope Chairman Captain Miscaviage snickered under his breath. Sipping a 25 year old malted scotch, he reached for a celebretory cigarette to soothe the burn of the alchohol. He had just finished listening again to PT Barnum’s autobiography. The first time through back in the 90’s, he was struck by Barnum’s encaptulating epistle, “There’s a sucker born every minute”. This powerful missive was the seed which germinated into the flowering shrub of GAK, GAT, Super Power, The Basics, and GAT II. Thinking back over 2014, by such standards it had been a very good year. Looking ahead, 2015 promised to be even better. Looking into the mirror the Pope Chairman Captain poured himself another and lifted the glass in toast to his reflection allowing a self satisfied twisted smile to form at the corners of his mouth. It has been ordered by the Pope, His Majesty David, that Alex Gibney should be immediately arrested, heavily fined, censored for life, beaten and jailed and upon release exiled from US shores, disconnected from our salvation forever and forever for the next 1,000,000 lifetimes on earth as a junk yard dog. Even as the Church moves on to Sector II and leaves this shithole prison planet in complete shambles (not worth the effort after all to Clear it), Alex Gibney and anyone even remotely connected to him and everyone who participated in this shear heresy chock full of lies money motivated film are also hereby declared Suppressive Dogs to be starved and physically abused for the next 1,000,000 lifetimes. Orders of the Day: Ronn S. is hereby appointed Ethics Officer for FLB. Ronn knows how to slam in Ethics. Very smart of those in Freedom Media & Ethics for blocking me from the get-go LOL. Way to shatter suppression. I shall cease my slanderous attacks on this fine organization this very day!